Lumberton – Mr. Tony McKinley Harrison “Icee Man”, of Lumberton, departed this life on March 29, 2019. He was born February 22, 1946 and was the son of the late Owen and Doris Harrison. He is preceded in death by his wife, Judy Harrison and a brother, Frank. He is survived by three sons, James Harrison (Sandra),, Randy Harrison (Lori), and Rodney Harrison (Wendy); three brothers, Jimmy Ray, Larry Wayne, and Luther; three sisters, Mary, Loretta and Elizabeth; nine grandchildren, Kelsie, Jamie, Marquita, Chris, Jessica, Tawny, Summer, RJ, Zach and five great-granchildren, Izaiah, Zayden, Nathan, Greyson and Owen. Funeral services will be held 3:00 pm Sunday at the East Lumberton Church of God with Rev. Dr. Bruce Brumfield and Rev. Bob Jordan officiating. Burial will follow in the Harrison Family Cemetery. 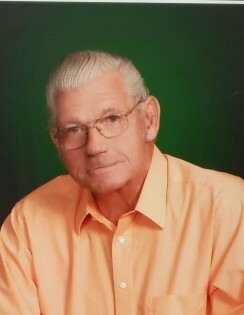 The family will receive friends from 7:00 to 9:00 pm Saturday evening at Revels Funeral Home Lumberton.